Revised digital edition: More stories – More images – More fun! 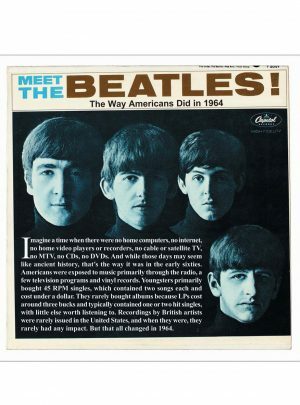 The fascinating story of the Beatles in America on Vee-Jay Records before they were picked up by Capitol Records. 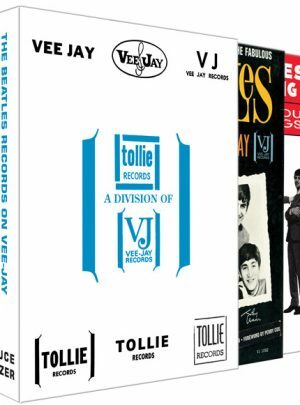 In the limited time that Vee-Jay retained its rights to sixteen Beatles songs, they managed to repackage them into ten 45s, one EP, three variations of the first Beatles album, two variations of a compilation album, and one elaborate double album combining the Beatles and the Four Seasons. Special Bundle: Order Parts One and Two and save $20. for the very first time! The real story behind the Capitol albums Meet The Beatles! through Magical Mystery Tour, with explanations of why the Capitol albums were different than those issued by Parlophone in England. Session and chart information and pictures of the front and back covers and all label variations of all the Capitol albums, including the most comprehensive coverage ever compiled on the controversial Yesterday And Today album with its Butcher cover. 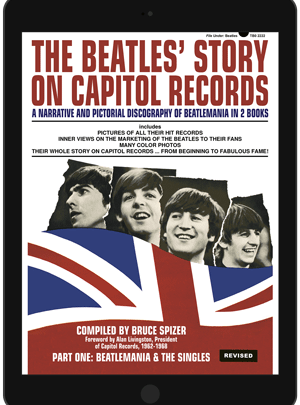 The story of Beatlemania in America, from its modest beginnings to total euphoria, this book explains why Capitol turned the Beatles down four times before finally agreeing to release their records. Includes the history of the Beatles hit singles on Capitol, from I Want To Hold Your Hand through Lady Madonna, as well as Capitol’s special promotional and juke box discs, and the unique singles issued by Capitol of Canada. 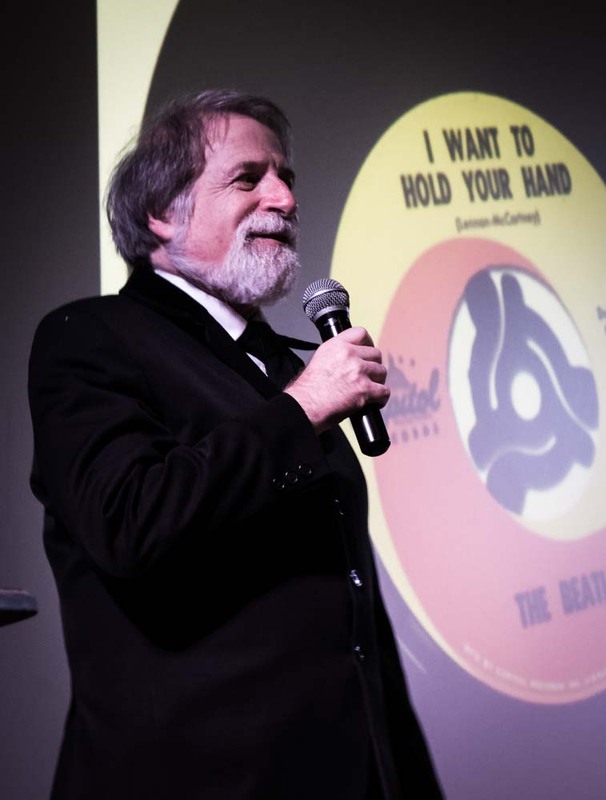 In addition to providing new information on all of the Beatles singles issued by Capitol, the revised and expanded digital edition contains the full story behind the Capitol Compact 33 jukebox discs and adds a new chapter on the history of the 45 RPM single and how Capitol quickly embraced the new format. There is also a new chapter titled “Capitol of the World,” which lists and provides details on all of the British recordings issued as singles by Capitol pre-Beatles from 1956 – 1963. In August 1968, Apple Records released its first single, Hey Jude b/w Revolution. This was followed three months later by The White Album. Apple went on to issue an impressive collection of Beatles singles and albums in 1969 and 1970. 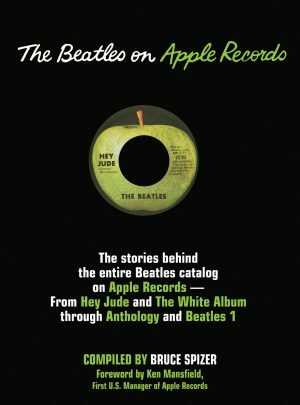 This book covers the records issued on the Apple label in America from 1968 through 1970, as well as the Red and Blue hits collections from 1973, the triumphant return of Apple in the nineties and incredible success of Beatles 1. Check back for availability of Archive Editions or future revised and expanded Digital Edition. 310 pages. 9″ x 12″. The fifth installment of Bruce Spizer’s critically acclaimed series on the Beatles American records. This followup to The Beatles on Apple Records chronicles the solo releases by John, Paul, George and Ringo issued from 1968-1975. 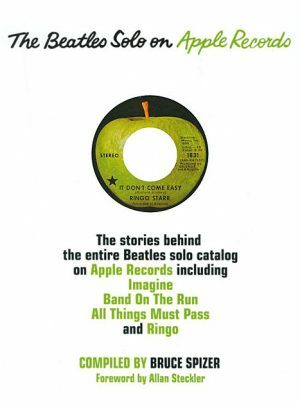 At 310 pages with over 800 images, this book covers the Beatles solo releases on Apple, including Imagine, Band On The Run, All Things Must Pass and Ringo. The brilliance of John, Paul, George and Ringo didn’t die in early 1970 when the Beatles officially broke up, and this book highlights their later, often forgotten work. 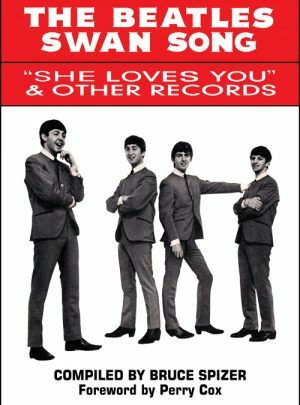 The first book to accurately tell the stories behind the Beatles discs released by Swan, United Artists, Decca, MGM, Atco and Polydor. The Beatles Swan Song covers all of the group’s U.S. releases on labels that had the rights to only a limited number of Beatles recordings. It is the first book to accurately tell the stories behind the Beatles discs released by Swan, United Artists, Decca, MGM, Atco and Polydor. It also has an extensive section on Capitol Records in the 70s & 80s, which details the Capitol theme albums such as Rock ’N’ Roll Music, Love Songs and Reel Music, as well as The Beatles At The Hollywood Bowl, Rarities and the unreleased Sessions LP. Additional sections cover dubious releases such as The Savage Young Beatles and the Star-Club album, the high-end Mobile Fidelity Sound Lab LPs and the record club albums. 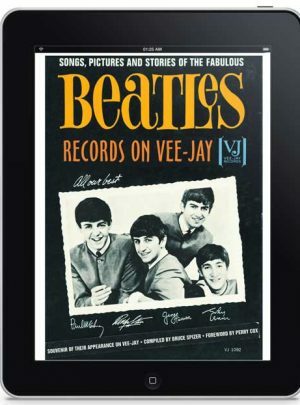 There are also sections updating the Vee-Jay, Capitol and Apple books with new and exciting information and images. 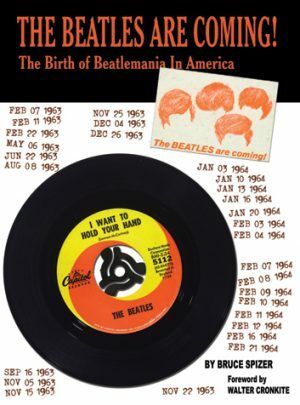 The most thorough and accurate book ever published on how Beatlemania evolved in America, this book covers the Beatles first visit to the United States and the events leading up to their arrival on February 7, 1964. It details why Capitol Records turned the group down four times and tells the stories of two small record labels, Vee-Jay and Swan, who issued the group’s records without success in 1963. Covers all of the Beatles singles, albums and extended play discs issued in the U.K. from 1962 through 1970 plus the Apple singles and albums manufactured and distributed by EMI, as well as the Fan Club Christmas discs and the Polydor releases of the group’s Hamburg recordings. 444 PAGES IN GLORIOUS COLOR! 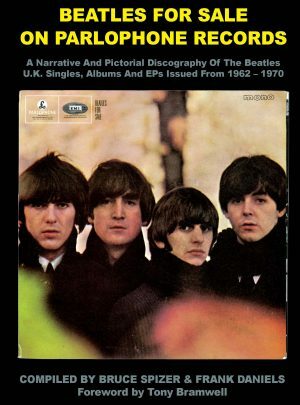 Written by Bruce Spizer, with a healthy assist from Frank Daniels, Beatles For Sale on Parlophone Records covers the all of the Beatles singles, albums and extended play discs issued in the U.K. from 1962 through 1970. The book details how all of the recordings released by the group during that time were written, recorded and marketed in the U.K. — presented in the same style as Spizer’s previous critically-acclaimed books on the Beatles American record releases. In addition to discs with Parlophone labels, the book covers the Apple singles and albums manufactured and distributed by EMI, as well as the Fan Club Christmas discs and the Polydor releases of the group’s Hamburg recordings. This book has it all. We still have a few units with slight imperfections, either slight scuff lines on the covers or dented corners that do not affect any of the interior pages. by Perry Cox and Frank Daniels. An exciting new publication with thousands of new listings. Unlike prior guides, all formats for a particular title will be listed together. Thus, the listings under Abbey Road will include vinyl records, 4-track tapes, 8-track tapes, cassettes and compact discs, all in one place. The book will also have color images throughout. Each page of listings will have color images of some of the items described on the page. Most pages have four images, with some having more. Another innovation is the adoption of the numbering system used in Bruce Spizer’s books. This will enable collectors to coordinate prices in the guide with images in Bruce Spizer’s books. The identification numbers assigned to items in this book are permanent and will not change in future editions. Each listing will have a checkbox so that collectors can mark the items in their collections. Many people will want to own two copies of the book: one for marking up and one to keep on the shelf with their other Beatles books. It tells the fascinating story of how Americans were exposed to the Beatles through four incredible albums issued by Capitol Records in 1964, complete with rare photos and mastering, sales and chart information.